The protesters have no quarrel with fish fries. Their quarrel is with Aquila Resources,the Canadian company that has been working to develop an open pit sulfide mine on the Michigan-side of the Menominee River, the border between Wisconsin and Michigan’s Upper Peninsula. Protesters have called for demonstrations and boycotts of suspected pro-mine businesses like the Ogden Club. The Aquila people no longer have an official presence there, but Quigley is Aquila’s communications manager, and her husband worked for the company, too, and that’s apparently enough to put it on someone’s radar. Aquila’s experts tout the mine as a new economic engine for an area that has struggled economically. They say it would bring the region thousands of jobs, $20 million in annual tax revenue and more than $152 million annually in direct, indirect and induced spending. The proposed mine has received three of the four permits it needs to open and expects to apply for the final wetlands permit by the end of the month. Opponents acknowledge they are engaged in an uphill fight. Yet they continue to work to build opposition amid concerns about everything from dust and disruptive noise for the community of seasonal and permanent cabins along the river, to the potential for an environmental disaster that could poison the river, Green Bay and the Great Lakes system. Whether it’s flooding or leaching, the mine puts the river water at risk and could affect Green Bay and beyond, opponents say. The mine site, named “The Back Forty” by the company, is about 20 miles upstream of the city of Menominee and would be just 150 feet from the shore. The potential to extract gold, zinc, silver and copper was identified more than a dozen years ago after being discovered by a local farmer drilling a well. 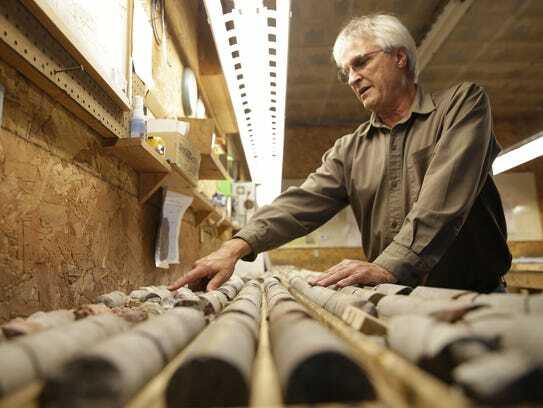 Aquila proposes an open pit mine, 750 feet deep, that would be worked for seven years. The company acknowledges someone could eventually apply for permits to mine below ground at the site, but Aquila is only seeking permits for a seven-year, open pit mine. It has three of the needed permits in hand, an air permit, a metallic mineral mining permit and a National Pollutant Discharge Elimination System permit, all issued by the Michigan Department of Environmental Quality. Aquila still needs a wetlands permit. It submitted one in January, but the department sent it back with a request for more information. Aquila expects to re-submit by the end of this month. The review process must be followed by a public comment period, but Aquila hopes to begin at least planning for construction in early 2018. The mine would disrupt wetlands, but in exchange, Aquila has dedicated millions of dollars toward an unrelated preservation project involving hundreds of acres of wetlands further downstream. And the mine-site wetlands will be restored when the mine closes, the company says. Upon closure, the mine pit is required by law to be covered over, all the buildings removed, and the property re-graded, replanted and restored. Except for the tailings deposit site. The company proposes extracting and crushing rock, using a chemical process to separate gold and other desirable metals and to store the “tailings” — the undesirable, treated rock — on site, to be monitored for 50 years. The tailings would be more than 90 percent of the rock taken out of the ground. The processing involves heavy use of water, but that won’t come from the river. The water will be pumped out of the open pit and saved and reused, according to Jeff Lynott, Aquila’s director of exploration and geology. The “cone of depression” that represents Aquila’s water table is unconnected to the water sources of the surrounding geography; nearby wells will not be affected, Lynott said. The water used in the rock-processing will be treated at an on-site water treatment facility that will be the biggest, most sophisticated water treatment plant north of Green Bay, Lynott said. The treated water to be discharged to the Menominee River will be cleaner than anything now in the river, he said. It’s the tailings storage that has most of the protesters up in arms. The miners use cyanide as one of the separating chemicals, and the leftover rock is mostly sulfide, which forms a toxic acid when mixed with air and water. Despite the company’s assurances of using state-of-the-art technology to prevent leaching and to stop water and air from working on the sulfide, protesters worry the storage facility will contaminate the Menominee River and poison drinking water downstream. The leftover sulfide rock will be stored in an area above a dual liner, plastic membrane designed to keep water off, and sealed from air. Flooding, too, is a worry, because the river is only 150 feet from the mine site, and the dams on the river could fail, protesters say. But the mine is on high ground, about 100 feet above the water level, Aquila’s experts argue. If flooding were bad enough to reach the mine, it would be the least of the worries for those downstream of the mine site, Lynott said. David Anderson, Aquila’s director of environment and regulatory affairs, dismisses opponents’ claim that a disaster at the mine could negatively affect the entire Great Lakes system. A small opposition group, calling itself “The Front Forty” was launched almost immediately upon discovery of the precious minerals in the area. Aquila started submitting mine applications to Michigan’s Department of Environmental Quality in the last year and a half, and the protest took off and moved downstream to the cities of Menominee and Marinette and on into Wisconsin. Rich’s faction, which is unnamed, formed about a year ago, about the time several others sprung up. Rich admits clashes between protesters and mine proponents have the potential to get ugly. That’s what prompted her to stop attending the Ogden Club weekly event. She has pledged to be respectful of the opposing side and urged others to do the same. She claims no one but mine employees and mine investors are in favor of the Back Forty. Aquila officials insist U.P. residents are overwhelmingly supportive of a mine and that most of the opposition comes from Wisconsin. The opposition says that’s nonsense, and their argument seems bolstered by the number of “Save Our Water, Stop the Mine” signs and “No Back 40 Mine” signs that densely populate properties not only near the proposed mine but also in the city of Menominee. There have been no reports of violence. One Aquila employee who didn’t want his name associated with his comments said veiled threats have been made on protesters’ social media sites, a claim that could not be independently verified and that protesters have denied. Protesters claim mine supporters have tried to intimidate their members at demonstrations by buzzing them with their vehicles. That also couldn’t be independently verified. Other than the boycotts, the protests have mostly involved peaceful chanting, marching, praying in the Menominee language and carrying signs. Protesters gather frequently to march across the bridge spanning the river, from the Stephenson Island Park area of Marinette to Menominee and back. They have also held informational meetings in communities throughout Wisconsin. And they have been flooding some of the public meetings, county board meetings, city council meetings, to urge support for anti-mine resolutions. Those efforts have proven successful in communities all the way down to Brown County, whose board voted unanimously, with two abstentions, to oppose the mine over concerns about what leaching or a spill might do to water in Green Bay. The resolution, similar to one adopted by the Marinette County Board, expresses opposition to the mine and urges the Michigan Department of Environmental Quality to deny issuing permits to the project. Door County also passed a similar resolution. Copies of the resolution were sent to Gov. Walker, the Wisconsin Department of Natural Resources, local state representatives, county board chairs throughout Northeastern Wisconsin and to Michigan Gov. Rick Snyder. Sen. Dave Hansen, D-Green Bay, and others are looking for Wisconsin to voice its opposition. Resolutions voicing opposition to the mine have been introduced in both the Senate and Assembly. Michigan is responsible for all permitting, since the mine would be on its side of the river. Wisconsin has a moratorium in place for sulfide mining, but Senators Tom Tiffany, R-Hazelhurst, and Rob Hutton, R-Brookfield have introduced a bill to lift that moratorium. Meanwhile, U.S. Sen. Tammy Baldwin, D-Madison, is seeking a federal review of the Back Forty Project. In a letter to the U.S. Environmental Protection Agency and the Army Corps of Engineers, she says Michigan should not be given full authority over the Back Forty, since the mine would be on a river that is also in Wisconsin’s jurisdiction. Aquila representatives bristle at community opposition in Wisconsin. Mining has been in the Upper Peninsua’s culture since before Michigan was officially a state, Anderson said. Although some mines there and elsewhere in the country have been environmental disasters, most — even those that preceded most government regulations — have managed to close and be reclaimed without problems, Anderson said. 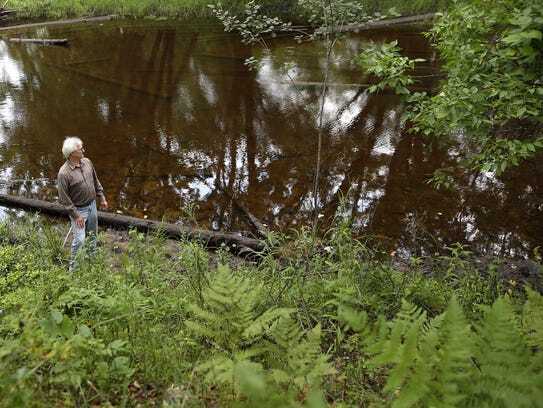 “There have been hundreds of mines opened and closed in the U.P., and there are not hundreds of Superfund sites,” he said. Not true, opponents argue. No open pit sulfide mine has been without problems, they argue. Al Gedicks is a professor emeritus of sociology at the University of Wisconsin-La Crosse who helped the Mole Lake Ojibwe Indians defeat the proposed Crandon mine. He is now working with the anti-Back Forty protesters. Gedicks claims no open pit sulfide mine has proven to be safe, and, in time, all are guaranteed to become a problem. “Under the best of circumstances, there will be migration of waste from the edge of the pit to the river over time, and if it’s a catastrophic event, there’ll be an even more significant impact if it’s all-of-a-sudden, as opposed to gradual,” he said. The water that comes into contact with sulfide minerals will be contaminated with heavy metals, and “they have to be treated in perpetuity, and the company is not going to last into perpetuity,” Gedicks said. Aquila is required by law to put up an advance sum, $118 million, paid to the state for reclamation efforts, Aquila officials say. That money is the state’s insurance policy, to be used if Aquila fails. Hendrikson is one of the founding members of The Front Forty. At age 73, he’s not one to go on a protest march, and his group, most of whom started when he started and who are roughly his age or even older, has taken a more civil, educational approach to opposition. While he appreciates the energy that the younger people have brought to the opposition efforts in the last two years, he doesn’t condone restraint-of-trade protests like the weekly Ogden Club event. Hendrikson used to live on the river but moved to Norway, Mich., and sold his riverfront property a few years ago to HudBay, a Canadian mining company that used to own the rights to the site before selling to Aquila. He sold, in part, because of health reasons but also because he saw the handwriting on the wall: HudBay gave him top dollar, something Hendrikson knew would be impossible on the private market once the mine became inevitable. HudBay pulled out almost immediately after Hendrikson sold his property. “When HudBay went away, I went away, and there was peace and quiet in Menominee County for three years,” he said. Then it all got “hot and heavy” when Aquila took over and the permit application was under way. Now Henrikson helps lead opposition from 60 miles away. The flavor of the opposition changed greatly when the Menominee Tribe of Indians became involved a couple years ago. The frequent protest marches along the Michigan-Wisconsin bridge have been largely made up of tribal members. The Menominee may have joined the protest late, but they’ve cared about the site for thousands of years, tribal activitist Guy Reiter said. The place where the Menominee River flows into Green Bay is the tribe’s Garden of Eden, the place where tribal members believe they originated as a people, Reiter said. The mine site is in the midst of some 22 known archaeological sites, ancient gardens and ancient burial sites of the Menominee people, he said. All of the mapping done by mine experts shows developers carefully avoiding the burial and garden sites, Anderson said. 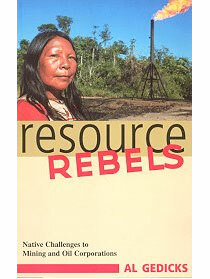 Aquila has no intention of disturbing those sites and, in fact, has offered to help the tribe do whatever can be done to preserve them, he said.